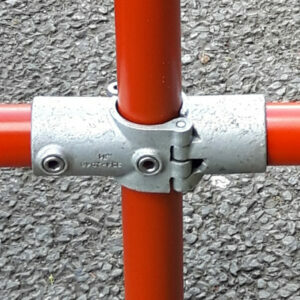 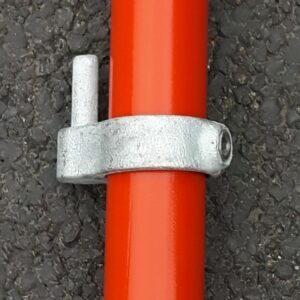 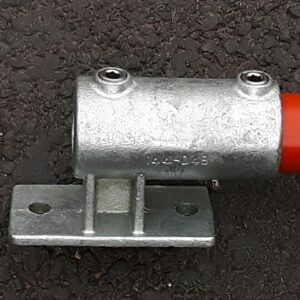 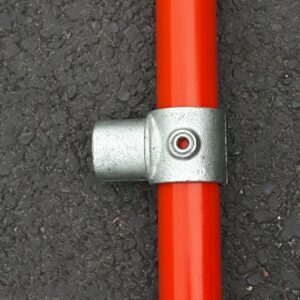 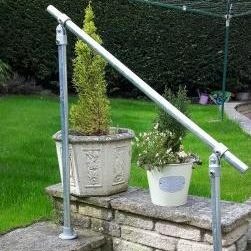 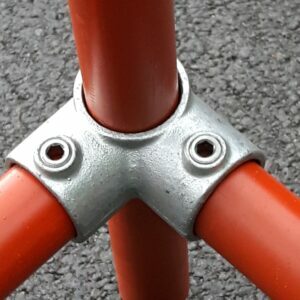 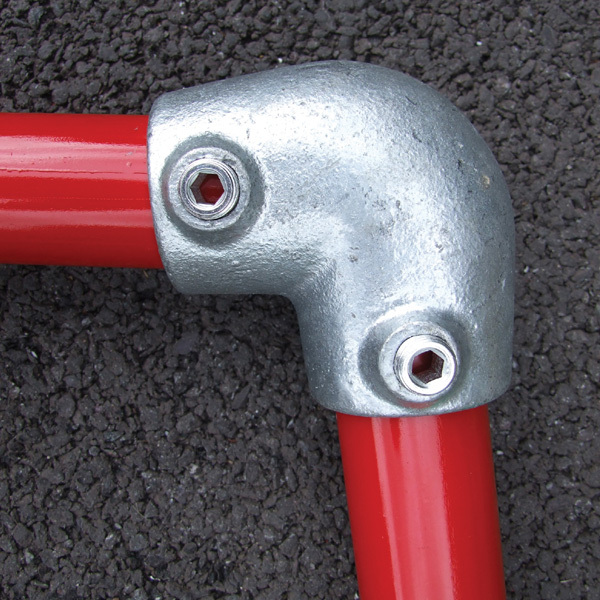 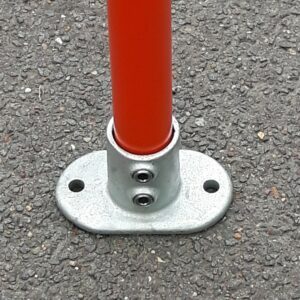 An adjustable Tube Clamp Slope Elbow. 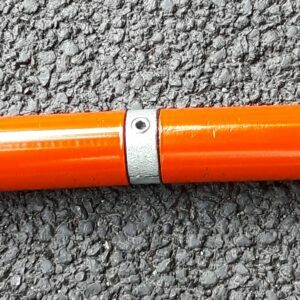 Used for the connection of the first vertical post at the start of the incline to the top of the rail. 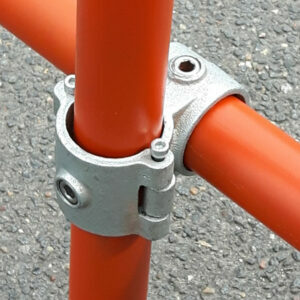 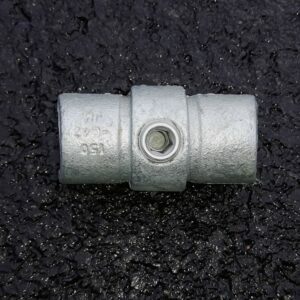 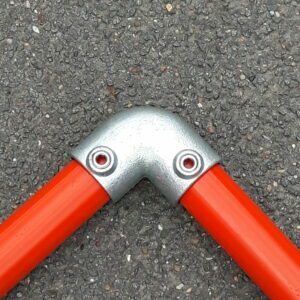 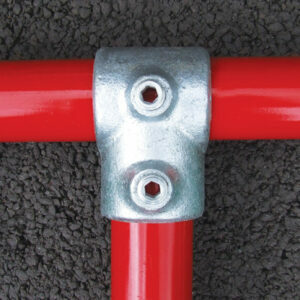 Only one barrel of the Tube Clamp Slope Elbow has the ability to take the adjustability, the other is fixed.